For my blog, I am only adding more information that is NOT in my book. So enjoy Cowgirl Celeste, and her fiction story in Haiti. This blog story started in May of 2013 and ended in the month of September 2013. THE MATERIAL ON THIS BLOG IS COPYRIGHTED TO DAWN MARTINEZ. INFORMATION ON THIS BLOG MAY BE ACCESSED AND READ FOR PERSONAL USE ONLY. THE MATERIAL MAY NOT BE COPIED OR COMMUNICATED TO OTHER PARTIES WITHOUT PERMISSION. Wow!!! I hope you’re writing your novel!!! Thank you SO kindly Betty! This is my first short travel story with Slingshot! Available on Amazon.com, Ingram, Barnes and Noble, an on Kindle. I am writing in my blog what is NOT in the book. I did finish a earlier version of Celeste’s as a little girl, it will come later. I am truly pleased with this story, and I am learning so much! Thank you for your lovely words~! 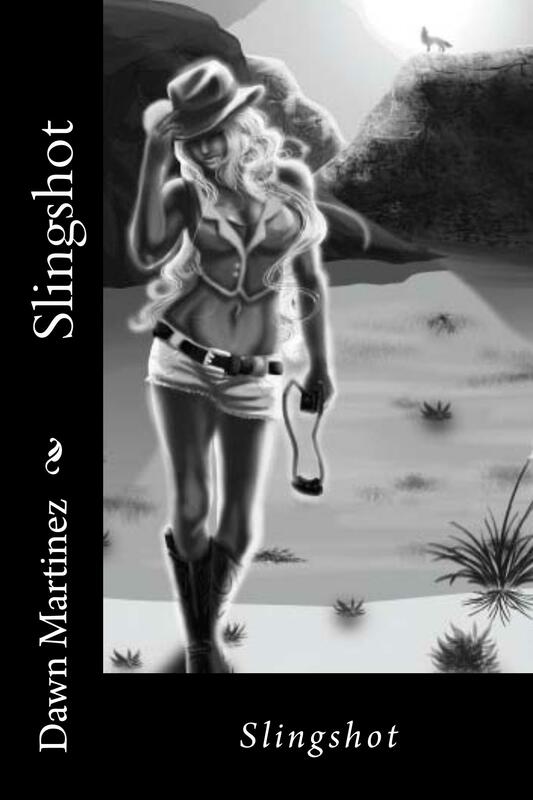 Pingback: Welcome to a new friend: Dawn Martinez | Slingshot | Hey Sweetheart, Get Me Rewrite! What a great hook for new readers! Your synopsis is very original, and I love it! Great short story, fabulous page turner from beginning to end! Good writing and not dragged out. I am not a romance reader, but love the story. Hope it becomes a movie! then the internal energy that we dont see but it exists nonetheless and forces us to different things beautiful and ugly . Since I enjoy traveling I love that the story takes place in Haiti. I too love to travel! However, this was a very sad humanitarian mission, but I turned it into cool little story! Thank you so much for commenting and stopping by. I hope you enjoy my story! Awe Jalal, it is an honor just having you stop by. You’ve been a great supporter on reading my blog! I too wish you the BEST with your cool creative side! I am bless to have you stop by to read my blog! Thank you so much Bearspawprint! I am bless that you have stopped by Lessonsbyheart! I thank you for the kind wishes! Thanks for the follow of Tales for Life! Best wishes with your unique novel and good fortune for your current writing projects. Cynthia the pleasure is mine to enjoy viewing your blog. I am bless to have you stop by and give me great wishes! Much appreciated! 🙂 Feel free to read and enjoy the Characters! Many Thanks for following my Blog at naturestimeline.com, I remain curious as to how you came across it, but nevertheless another follower is always good news. I’ll have a lurk around yours and see if I like it. I filter through different blogs finding so many creative and knowledgeable people~ I like to just stop by and see what everyone else is doing! Thank you for stopping by! I love your writing on your blog. I hope your book does extremely well for you. Nice to meet you, and thanks for the follow. Indeed always a pleasure meeting people who love to travel aboard! Oh yes I do hope Santa is kind to me!~ I think I have been very GOOD… 😉 Thanks for stopping by Slingshot and Enjoy YOUR Holidays too RestlessJo. This is a story that a lot of women (perhaps not girls, yet) can relate to. We have stored strength and resolve, between raising a family and being dutiful, it can be a bit cramped for dreams and one’s higher-calling in life. All is our higher calling, we don’t have to compromise or apologize for being bigger than life. We can be everything a man can (and perhaps more, sorry guys). No offense, but then again, I don’t care anymore. There IS such a thing as a strong woman who is smart, resourceful and pretty. It’s much easier for the world to embrace the idea of a handsome man being smart and savvy. Celeste is —to borrow a line from a Chaka Khan song— “Every woman, it’s all in me.” Bless you, Dawn, keep us reaching and finding our OWN inner Wonder Woman through your heroines’ stories!